The Academy of Nutrition and Dietetics has announced that every August will be Kids Eat Right Month. The timing is perfect as children across the country head back to school. Of course in my neck of the woods in the Northeast, school is not in session until the very end of the month, but in many other states, school has begun! Often the school year, with its structured schedule, can help support healthy eating habits, so now is the time to think about getting organized. Take your child with you to the grocery store and make it a fun learning experience. This is an opportunity to learn about budgets, what they like or dislike, and also allows them to see the foods available. Take some extra time in the produce aisle and talk about the different kinds of fruits and vegetables. Have healthy after school snacks available, and engage your child in helping you plan quick, healthy breakfasts, and healthy packed lunches. 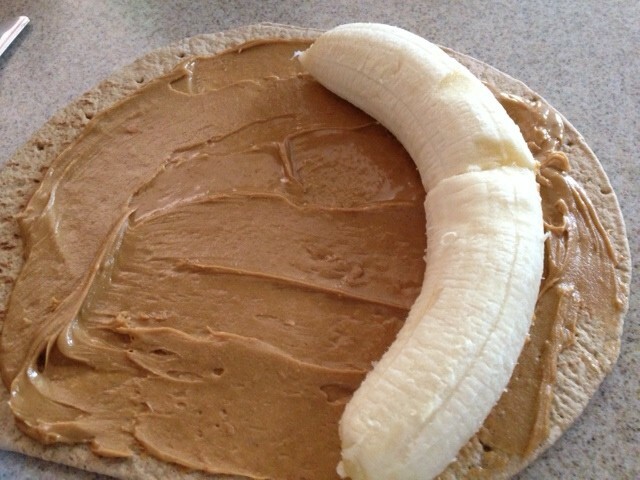 Place peeled banana at the edge of the wrap. 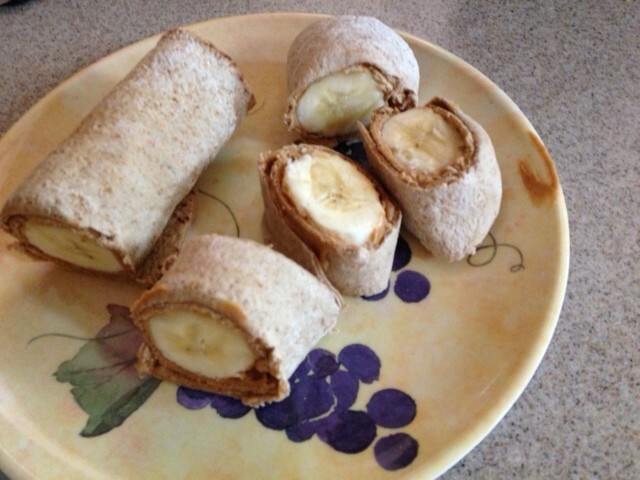 Roll up (you may want to break the banana in half for easier rolling). 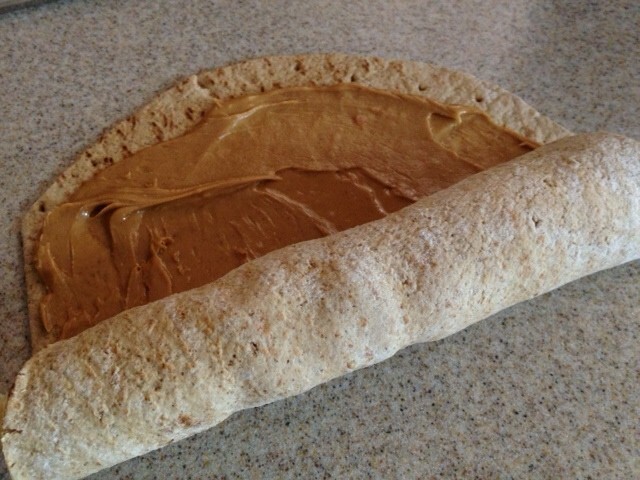 Slice in small bit-sized pieces, or cut in half for a delicious after school snack. This entry was posted in Easy Cooking, Food Facts, Misc and tagged Academy of Nutrition and Dietetics, choosemyplate, diet, healthy kids, kids eat right by Rosanne Rust. Bookmark the permalink.